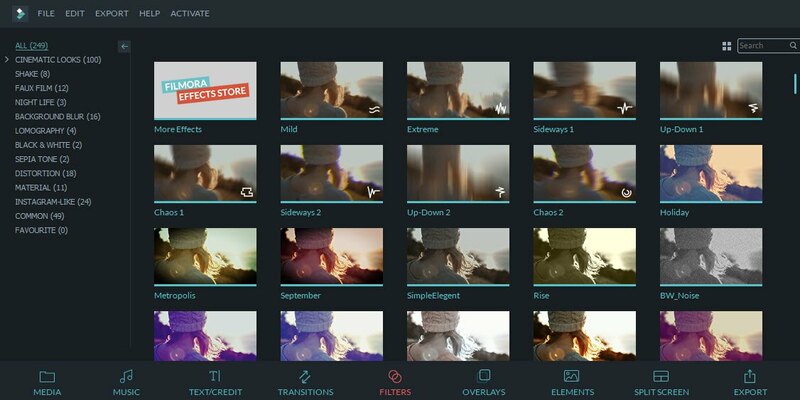 Filmora is the one of the video editing software that is quite easy to use, and even a non-professional can edit videos to make them attractive. This comes from the house of Wondershare so no question about the robustness. Your friend probably told you that quality video editing is time-consuming and requires high-level skills of a complex software. He has already filled you with tons of misconceptions that are just discouraging you from even trying your hand at some basic edits – let alone the major ones. What if I tell you there are video editing software that are both easy and quick and does the job almost with the same efficiency? That’s right! 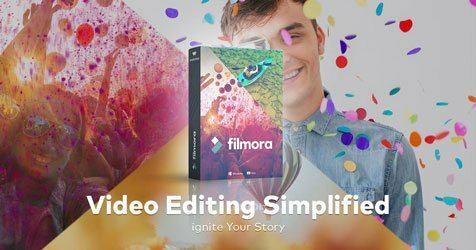 Such a software actually exists – and it’s called Filmora – a professional video editing software from the house of Wondershare. Talking from the depth of my heart, I have been reviewing many software from the house of Wondershare lately, and I have found all of them quite exceptional. Each software is smooth, stylish and well-crafted. It gives pleasure to use such a remarkable piece of art. 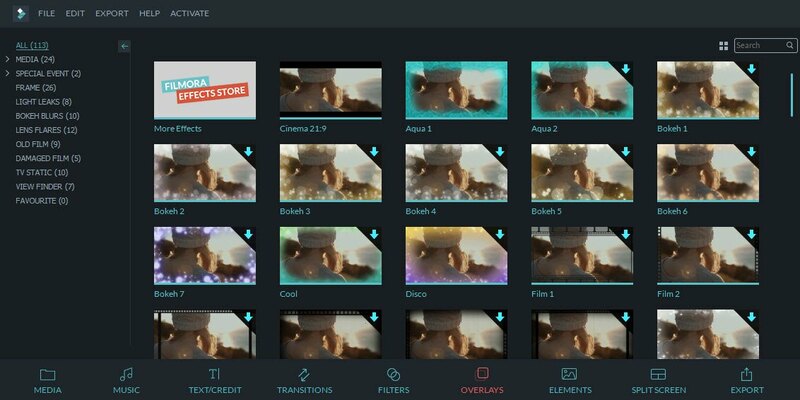 Check how to edit videos with Filmora in this ultimate guide for beginners. What separates Filmora from its competitors is its extreme simplicity. 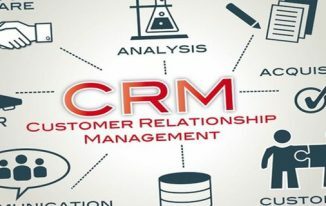 Sure, the huge number of software which you see in the market are made that way because of the variety of applications they serve. But for personal and mildly professional use – Filmora is indeed a smart option. Read further for this Wondershare video editor review. When you open Filmora, you are greeted with two options. 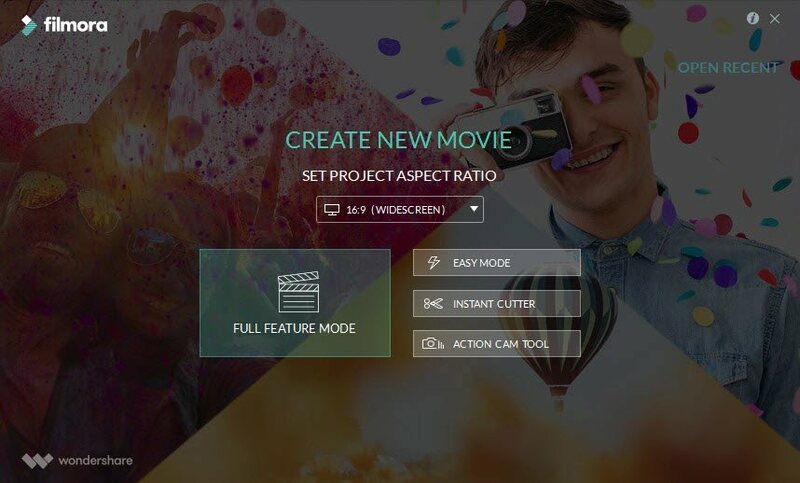 The Wondershare video editor asks you to choose between Easy Mode and Full Feature Mode. Needless to say, the easy mode has the basic and the most important features you will need while the full feature mode has everything Filmora has to offer. You need to import a video to Filmora before accessing any of the features. It’s simple as expected – you just need to browse for your desired video and Filmora will take a few seconds to get ready. The first option you will see in the tray would be the Music editor. 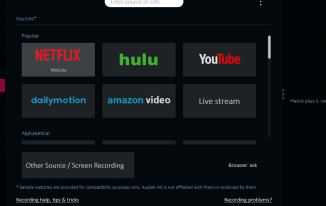 It allows you to add some music anywhere in the video. 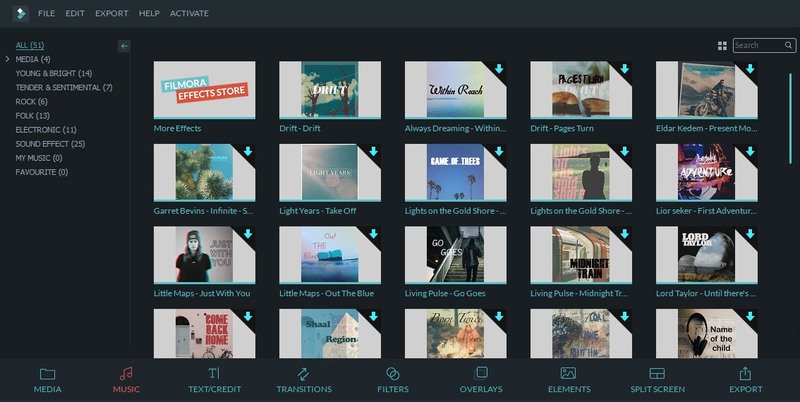 Filmora offers you some music files to try out – which are to be downloaded separately. Furthermore, you can import any music file from your system to test it out. You might think I am praising Filmora again and again, but I must say that this Wondershare video editor has got a huge collection of text. The word art is simply beautiful and looks very professional. Trying them out is easy as well – choose one, add your test and add it anywhere. Its text collection is comparable to designing giants such as Canva. Sure, Canva is in a completely different field, but the collection is quite comparable. Filters are quite mandatory these days – you see them being used everywhere on social media. But, filters aren’t limited to still photos. 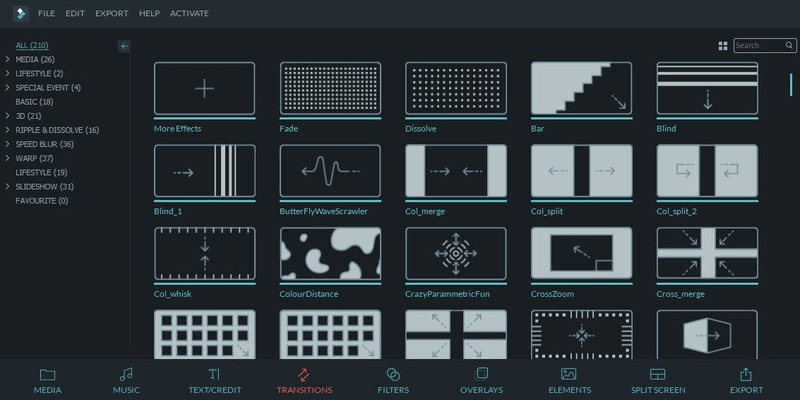 Filmora has a big collection of filters too! Filters are appealing to the eye, and they do the job of hiding the minor glitches as well as beautifying the entire scene. Therefore, it would be wise to try these filters out for your videos. With over 100 filters to choose – I am sure you will find one filter for every video. As the name suggests, an overlay is a kind of coating which covers something. In our case, overlays are simply some coatings which make the video even more natural. Remember the bubbles you see in movies and serials which seem to be the consequence of sun’s rays falling on the camera? That’s a perfect example of an overlay being used. The above image is an overlay from Filmora. As you can see, it looks perfectly natural and adds to the beauty of the scene. Awesome, isn’t it? Elements look childish, don’t they? They might look like that, but they’re quite crucial at times. A wise and creative use of elements can make a video shine. 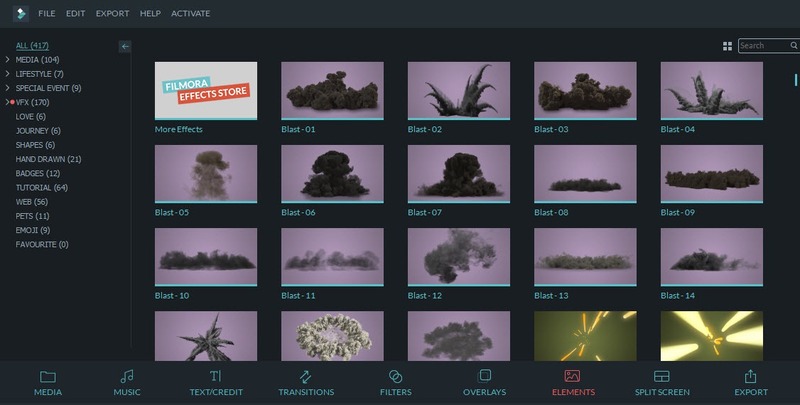 This video editing software has got a huge collection of over 300 elements. Be it a balloon, a flag, an airplane or a simple arrow – Filmora has it included in its collection of elements. Just in case you don’t know, the elements don’t need to be static. Each element has a specific mentioned time period and you can see it swirling and swooping around the video screen during its specified duration. Do the scenes change often during the video? No worries, make them look better with the inbuilt transitions. 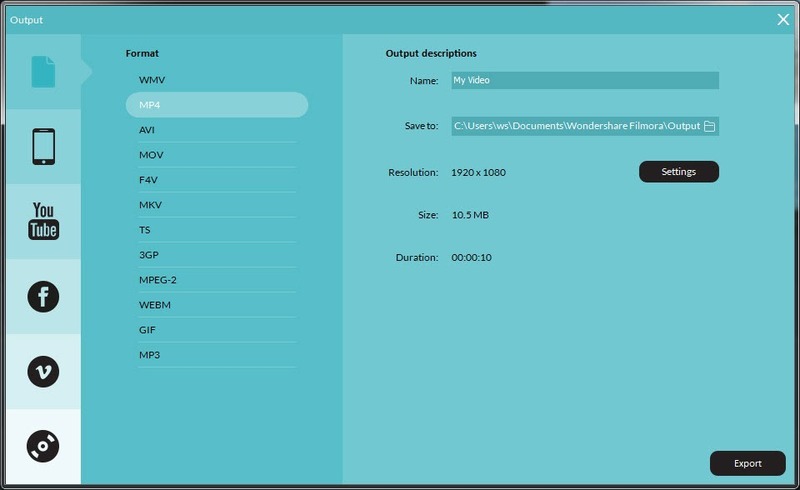 The transitions provided here are similar to the ones you see in Microsoft PowerPoint, the difference being their variety, which is in favor of Filmora. Want to use multiple screens at a time? No worries either. There’s a screen splitter which lets you divide the video screen beautifully. You can use two or more screens at a time – and there are options for each of those requirements. Filmora takes care of the export part too. You can directly export the finished video to Facebook, YouTube or Vimeo. Moreover, you can burn the video to a DVD directly either. Lastly, if you have a smartphone or another device where you would like to send the video – you can do that either. Filmora is at par while talking about the normal editing stuff. You can do literally anything you want with the video – there’s a frame by frame editor to modify the minutest of the moments, you’re allowed to control the speed or just simply go reverse, and you can be assured of the quality in the end. There’s even an audio separator as well as an audio enhancer. Moreover, the minutest capabilities such as trim, crop, aspect ratio, volume control, fade, contrast, brightness, saturation, etc. are included in Filmora. What I loved in the editing part was the green screen feature. Though being an advanced one, it’s can prove to be very useful to anyone. The green screen feature can be used to remove the instances of a particular color from a video. Sounds confusing? Let me explain illustratively. Suppose you have a video with a green background and you want to replace it with something else – what will you do? This is exactly where the feature comes handy! Lastly, the Picture-in-Picture (PIP) feature lets you add a particular video (or videos) into another video. Filmora can add up to 10 videos in one. This is particularly helpful when you have to demonstrate two or more things at once, such as in a video tutorial. The pricing model of Filmora is not at all complex. The simple, 1-year license per PC costs $29.99 while the lifetime license costs $49.99. 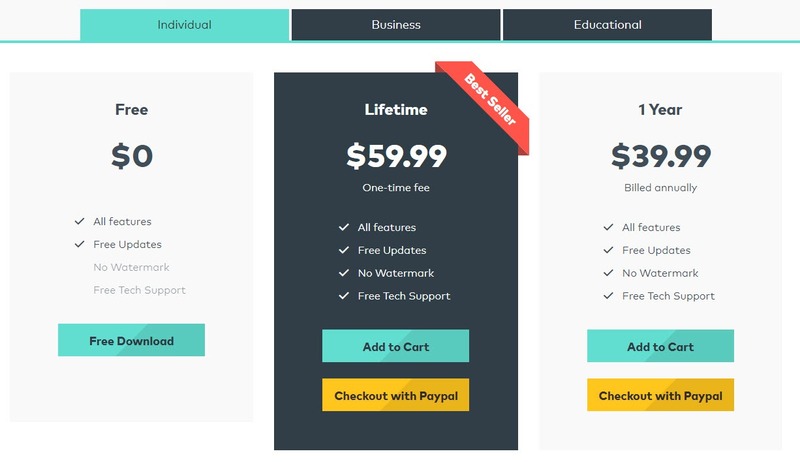 If you have multiple PCs, you can get a lifetime license for up to 5 PCs at just $120. The above-discussed model was for personal usage. If you would like to use Filmora for business or school purposes, you can contact them for a quote. I hope you appreciated my Wondershare video editor review. Filmora is indeed a complete package and has literally everything you need. The purpose of writing this Wondershare video editor review is to break the conventional myths related to the video editing industry. I hope I have been successful in dealing with it. I would love to hear your opinion about this in the comments section below! thank you Atish, I was searching a video editor, and i found this, Filmora meets all my demands! Love it! Great to know that your search ends on my blog, Myolie. Nice post bro ..You presented nicely review about Wondershare . It’s my favourite video editing tools because of light infrastructure , rendering less time than others . And it has lots of pretty feature . I am happy that you are back to my blog, Partho. Glad you liked the review. Nice review indeed. You have describe almost all things about Filmora that be beneficial for users. I am looking for a video editing software, so it can be helpful for me. Thanks for sharing this article. Happy to know that you liked the review. Thanks for coming by. Amazing review of Filmora. All the features that you have mentioned in your post regarding Filmora are useful to create quality videos. Thanks for liking the review Mairaj. Thanks for sharing one more software, Ghufran. I will go check out that too. I always have been a fan of your writing skills..!! This time you have proven that again..!! You get the exact point that the myths regarding the editing the videos and other stuff related to videos..!! By reading the article whan i was on the line that it contains everything..!!! No doubt i agreed with that line completely..!! It really contains every other thing needed for naking a great video..!! Thanks again for sharing this awesome and helpful guide..!! thank a lot to Mr.Atish Ranjan . the best part is you described filmora in pros and cons. that helped me a lot to edit my presentation. Thank you Atish, I was searching a video editor, and i found this, Filmora meets all my demands. I choose Filmora because I couldn’t find any other software that was compatible with .mov which is what my dashcam records in. But there are 2 simple things that it cannot do. First, the maximum fast forward speed is 10x, which is not fast enough for many projects including a time lapse. Second, I have been unable to find an “arrow” graphic or image that I could use to point at objects in my video. It seems like an advanced feature. I haven’t seen this feature, and I think, this cannot be done using Filmora. Still, you can once check with their support team.